Shelley serves on the Appropriations Committee, the Energy and Natural Resources Committee, the Environment and Public Works Committee, and the Rules and Administration Committee. This committee portfolio puts Shelley in a strong position to build on the work she began in the House, and to fight for West Virginia coal, jobs and families. 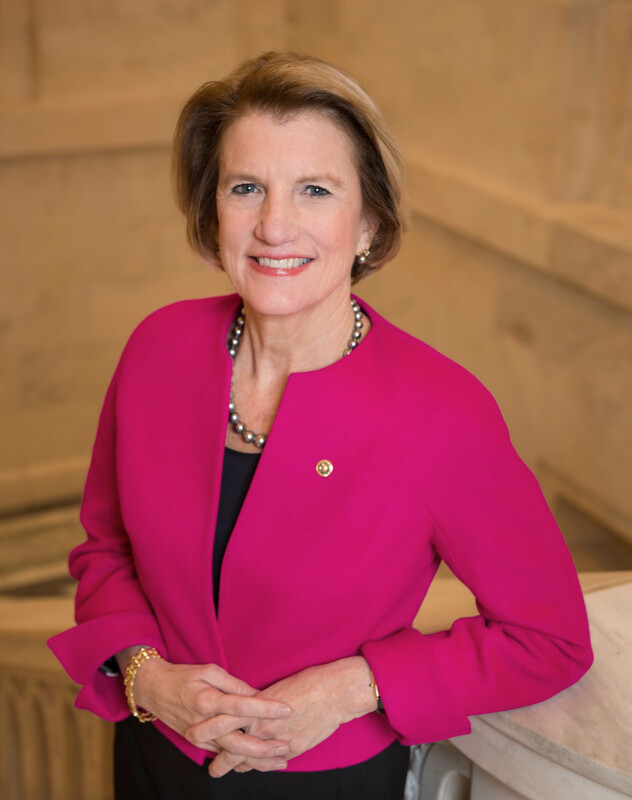 On the Senate Appropriations Committee, Shelley will ensure West Virginia has a seat at the table when our nation’s spending priorities are determined. Shelley is committed to being accessible and responsive to the people of the Mountain State. She regularly travels the state to listen and meet with West Virginians. A lifelong West Virginian, Shelley was born in Glen Dale in the Northern Panhandle. She holds a B.S. in Zoology from Duke University and a M.Ed. from the University of Virginia. Shelley and her husband Charles L. Capito Jr. reside in Charleston. They have three adult children: two sons, Charles (wife Laura) and Moore (wife Katie), and one daughter, Shelley (husband Colin Macleod). They have also been blessed with a grandson, Charlie, and a granddaughter, Celia.